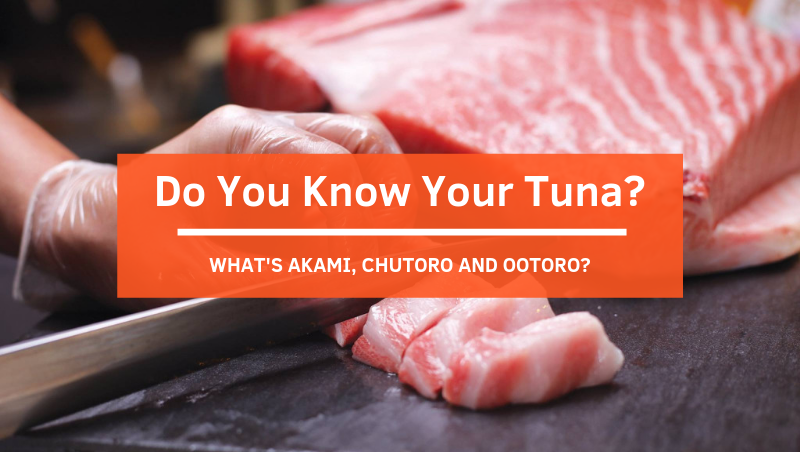 08 April 2019 08 April 2019 Categories GeneralLeave a Comment on Do You Know Your Tuna: Akami, Chutoro and Ootoro? So, recently I had my first good sashimi eating experience and I won’t lie, it was quite intimidating and yet unforgettable at the same time. This is mainly due to a previous experience I had eating bad sashimi. Yucks! Plus, if I were to be given a choice, I’ll pick a hot meal over cold and raw sashimi anyway. However, one fine day, I had a change of mind and decided on going to a Japanese restaurant with my colleagues. Lucky me, they are very familiar with sashimi and know what the best dishes are to order. One dish after another, my perspective towards sashimi started to change for the better but the turning point was the Ootoro (or commonly known as otoro)! One bite was all it took and I was hooked ever since. Surprised? Well, it was an even bigger surprise when we asked for the bill, it was quite a hefty price but it was worth every penny! Following the great meal, I was curious to find out more about sashimi, especially about the bluefin tuna. So here are the few facts I found out! For example, in Japanese, the term “tuna” is widely known as “Maguro”. Also, it’s perhaps the best known and most commonly eaten fish in all of the sushi dinings. 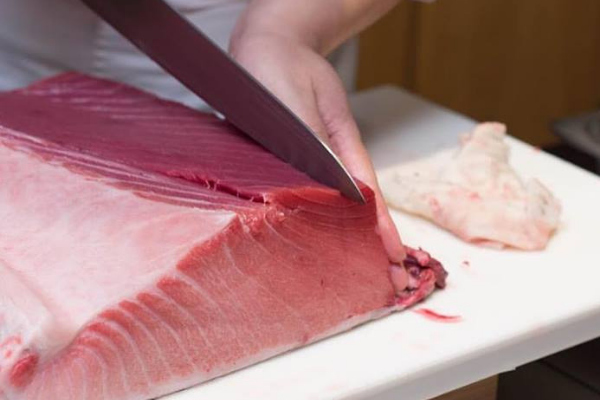 With that being said, you will be able to easily find many Japanese restaurants serving tuna or bluefin tuna. If you happen to sit at the sushi bar, most likely you will be able to see a slab of Maguro displayed behind the glass. But have you ever noticed there are actually three shades of colour with Akami (lean) tuna being the darkest red, slightly lighter one is Chutoro (medium-fatty tuna) and the lightest and smoothest-looking of the three, Ootoro (fatty tuna)? 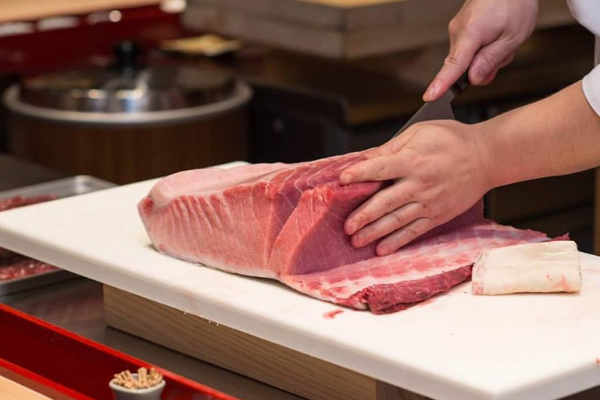 Akami is the most commonly used and available part of tuna in many Japanese restaurants, the reason being it is the main part of a tuna fish. Again, you will be able to easily tell Akami apart solely by its darker-reddish colour. In terms of texture and taste, Akami is the leanest part of tuna and is described to be meatier and has a bolder taste profile. 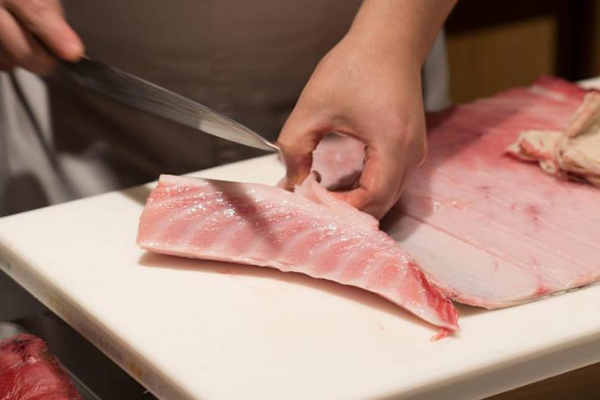 In a Japanese restaurant, Akami is found most often served as sushi, sashimi and sushi rolls. The next part of the fish is Chutoro which has a lighter reddish colour. This part is a perfect blend of Akami and Ootoro because of its fatty level that lies between the lean and fattiest part of a tuna. Also, you can already guess, Chutoro provides both a meaty and a fatty texture in one bite. 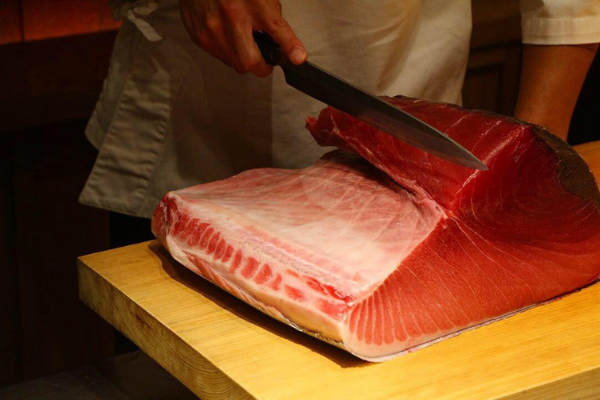 It’s recommended by many sushi enthusiasts that Chutoro shall be eaten as sashimi. So, the next time you are going to get some Chutoro, be sure to have it raw and of course, with a little dab of wasabi! 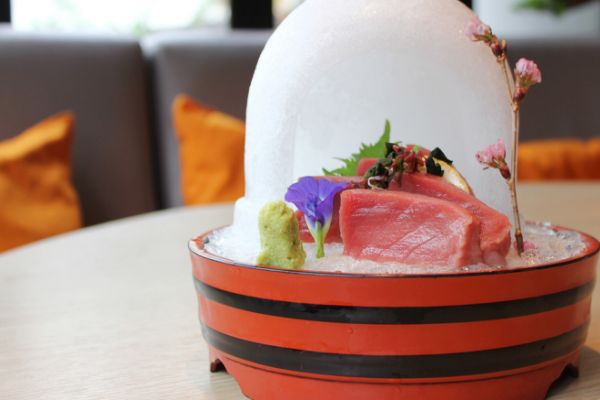 The last but not least, the highly sought-after tuna belly, also known as Ootoro! For your information, this is the most desirable part of a tuna. This is mainly because of its melt-in-the-mouth texture that sashimi lovers go crazy about! However, do not expect to eat a lot of Ootoro (and Chutoro) because it only makes up such a small amount of the entire tuna. Due to its limited nature, both the Chutoro and Ootoro can be a little expensive when compared with Akami. Nonetheless, for many sashimi lovers, it’s worth every penny! Can’t wait to have a taste of some sumptuous tuna sashimi? We have got your back! Check out the top Japanese restaurants lined up just for you! Explore and book a table now! Next Post Tuck Into ‘Simply Malay’ Buka Puasa Buffet Dinner @ Bijan Bar & Restaurant!